[Last] Wednesday marked one year since the ceasefire that ended Israel’s unprecedented seven-week assault on the Gaza Strip. On the occasion of this week’s anniversary, an international coalition of 35 NGOs issued a new call for the end of Israel’s blockade. “For a whole year the Israeli government has restricted basic and essential construction materials from entering Gaza,” stated the aid groups, who noted that “not one of the 19,000 homes that were bombed and destroyed has been fully rebuilt”. A petition launched by the NGOs on the Avaaz online community – “World Leaders: Lift the Gaza Blockade” – had, at the time of writing, already attracted 538,000 signatures. The central – often, sole – reason cited by Israel for its continuing blockade of Gaza is “security”. The NGOs are not deaf to these concerns – but they do not believe this gives Israel carte blanche to choke 1.8 million people and destroy their economy and social fabric. However, the security argument is itself a red herring. The Rafah crossing, Gaza’s only connection to the outside world, has been virtually closed since October 2014, allowing only a fraction of Gazans to leave or enter the blockaded enclave. Egyptian authorities closed the Rafah Crossing with Gaza on Friday, after it had been open for four days to allow emergency cases through. Spokesperson of Palestinian Interior Ministry in Gaza Iyad al-Buzom said that 2,579 humanitarian cases left Gaza while 3,178 people entered the coastal territory. Egypt prevented 146 Palestinians from leaving Gaza, he added. Some 17,000 Palestinians need to urgently leave the territory, either for medical treatment or to continue their study abroad. Egypt did not indicate when the crossing would be opened next. Four Gazans were abducted by masked gunmen in Sinai just minutes after they had passed the Rafah Crossing. Egypt blames Sinai ISIS for the abduction, but Hamas and Egyptian tribesmen reiterated that the Egyptian security abducted them. Eight months ago, the infrastructural devastation in the Gaza Strip was the same, except floodwater and freezing winter temperatures swept over the heaped remnants of people’s homes and businesses. A year on from Israel’s 51-day military operation – in which over 2,200 Palestinians were killed, including more than 500 children – not a single one of the 11,000 destroyed homes has been rebuilt. The task of large-scale reconstruction work was entrusted to the Gaza Reconstruction Mechanism (GRM), a United Nations-brokered agreement between Israel and the Palestinian Authority which would oversee the distribution of building materials entering Gaza. To date, only 5.5 percent of the building materials needed to repair and rebuild homes and other damaged infrastructure has entered the coastal enclave, according to Israeli rights group Gisha, founded in 2005 to protect the freedom of movement of Palestinians, especial Gaza residents. Failed promises by donor countries which pledged 5.4 billion dollars last October, political tensions between the Palestinian Authority and Hamas, and Israel’s continued restrictions on materials entering the territory have all impeded reconstruction efforts. However, many hold the GRM directly responsible for the glacial pace of reconstruction, arguing that the terms of the agreement have entrenched Gaza’s underdevelopment by granting Israel control over nearly every aspect of the rebuilding process. “Israel actually has deep power over every single house built in Gaza,” says Ghada Snunu, a reporting officer at Ma’an Development Centre in Gaza. At least four Palestinians from the same family have been killed, and 43 people were injured, in the Gaza Strip after Israeli military ordnance left over from last summer’s 50-day war exploded, a Palestinian health official has said. 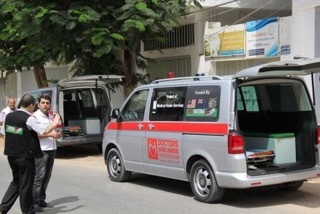 Ashraf al-Qidra, a Gaza health ministry spokesman, said on Thursday that the rocket exploded as Palestinian workers were helping family members remove rubble from a house destroyed in the war. The Palestinian Centre for Human Rights (PCHR) has revealed that the Israeli blockade imposed on the Gaza Strip over the past eight years has pushed up poverty in the coastal enclave to new highs. The PCHR has said in a report that Gaza’s poverty rate for the first half of this year has now reached 38.8 percent. It added that 21.1 percent of the Palestinians living in the coastal strip are suffering from “extreme poverty”. The PCHR report has further added that in addition to causing a rise in the poverty rate, the Israeli blockade has caused unemployment in the enclave to rise to 44 percent. This indicates the extent of the unprecedented economic deterioration suffered by the Palestinians in the Gaza Strip, it added. “Israel’s isolation and siege of Gaza has resulted in grave violations of the economic, social and cultural rights of 1.8 million people, as well as a serious deterioration in their living conditions,” said the PCHR in its report. In May, the World Bank described Gaza’s economy as one of the worst in the world, with unemployment in the strip standing as high as 43 percent. It also warned that as much as 73 percent of the population there is suffering from food insecurity. The Israeli military last summer devastated the Gaza Strip after 51 days of relentless attacks and strikes that left over 2,000 Palestinians killed – mostly civilians – and many wounded. Tens of thousands were also displaced in the wake of the conflict. A UN report in June decried as “unprecedented” the devastation and human suffering left behind by the Israeli war. It also denounced the “huge firepower” used in Gaza. The UN further criticized the Israeli blockade for hampering reconstruction in the coastal enclave. As global pressure and regional shifts undermine Israel’s blockade of the Gaza Strip, Palestine supporters from more than 20 countries are preparing for the latest attempt to defy it. GAZA STRIP — A converted Swedish fishing trawler left the port of Messina in eastern Sicily late Friday evening, sailing into the Mediterranean to meet other vessels before they attempt to break Israel’s nautical blockade of the Gaza Strip. “The goal is, as always, to challenge and eventually end the inhuman and illegal blockade of Gaza,” David Heap, a spokesperson for the Canadian Boat to Gaza, told MintPress News. The Marianne of Gothenburg, which left its home port on May 10, publicized its voyage down the coast of Europe and into the Strait of Gibraltar through the organizations supporting it, Ship to Gaza Sweden and Ship to Gaza Norway. Other groups in the Freedom Flotilla Coalition have declined to disclose their efforts, including the names and locations of vessels. “There has been secrecy around details that might be relevant to efforts to obstruct the flotilla, as there usually are,” Robert Naiman, a spokesperson for the U.S. Boat to Gaza, told MintPress. Heap says the high level of security within “Freedom Flotilla III” stems from past Israeli attempts to prevent similar projects. With the Marianne now at sea, its final departure for Gaza is expected as soon as weather clears. Activists aboard a flotilla of boats are to soon set sail for Gaza in a fresh bid to break Israel’s blockade of the territory, five years after a similar attempt ended in a deadly raid. The so-called Freedom Flotilla III – a convoy of ships carrying pro-Palestinian activists, at least one European lawmaker and an Arab-Israeli MP – will try to reach the shores of the Gaza Strip by the end of the month. Their campaign comes as Israel faces heavy international pressure over its actions in Gaza, with a UN report released Monday saying both the Jewish state and Palestinian militants may have committed war crimes during last year’s conflict in the besieged coastal enclave. Israel’s blockade of the territory dates to 2006, after Hamas captured an Israeli soldier, and was tightened a year later when the Islamist movement consolidated control of Gaza. “We’re not alone in considering the blockade to be inhumane and illegal,” Staffan Graner, an activist who is sailing aboard Swedish trawler the Marianne of Gothenburg, told AFP. “What we want to do… is to keep up international pressure that the blockade should end,” he said. The Marianne of Gothenburg, which set sail from Sicily on Friday, will join four other vessels carrying some 70 people en route for Gaza, according to a statement from the Platform of French NGOs for Palestine, an advocacy group supporting the effort. Among those aboard will be former Tunisian president Dr Moncef Marzouki, Spanish MEP Ana Maria Miranda Paza and Arab-Israeli lawmaker Basel Ghattas, organisers said. Ghattas’s decision to join the flotilla caused outrage in Israel. On Sunday, deputy foreign minister Tzipi Hotovely said the flotilla was “the work of provocateurs whose aim is to blacken Israel’s face,” adding that the ministry had been working “through diplomatic channels night and day” to prevent it from reaching Israeli waters. “Any form of takeover to prevent this will only involve Israel in yet another difficult international crisis or scandal,” he warned. Ghattas was referring to the killing of 10 Turkish activists aboard the Mavi Marmara after Israeli commandos staged a botched pre-dawn raid on a six-ship flotilla seeking to break the Gaza blockade in May 2010. Since then, several ships manned by pro-Palestinian activists have tried to reach the shores of Gaza, but they have all been repelled by the Israeli navy. Activists in the Freedom Flotilla III are undeterred. They say the international pressure Israel faces after the latest conflict Gaza, along with the uproar the 2010 raid caused, make it unlikely it will use violence this time. The International Criminal Court said last year that war crimes may have been committed in the 2010 raid – though the chief prosecutor decided that potential cases were not of “sufficient gravity” to justify further ICC action. “One has to be realistic,” Graner said. “We know that we’re sailing towards a blockade that is upheld essentially by two large military forces,” he said, referring also to Egypt’s navy. Activists have accused Egypt of helping to enforce the blockade, although Cairo denies involvement. Israel has in recent weeks been on the defensive over actions during the July-August war, where the majority of the 2 200 Gazans killed were civilians. Seventy-two Israelis were killed, 67 of them soldiers. In anticipation of Monday’s UN report, Israel cleared itself of wrongdoing in a number of controversial incidents, including the bombing of UN schools being used as shelters for the displaced. Israel says it was forced to target the schools’ vicinities because of actions by Hamas, which allegedly stored weaponry and fired rockets from UN institutions. About 100 000 Gazans remain homeless, with the reconstruction of tens of thousands of homes yet to begin. Israel’s ongoing blockade, now in its ninth year, has been blamed as well as a lack of international donor support. Israel says more than 1.1 million tons of construction material have been allowed in since October 2014, along with food and other supplies. Critics of the blockade have called for it to be fully lifted to allow reconstruction, warning that without it an ongoing humanitarian crisis could fuel further conflict. About “1.8 million Palestinians (are) living in disgraceful, prison-like conditions as a result of Israel’s military siege of both sea and land,” Ghattas said in his letter to Netanyahu. Former Tunisian President Dr Mohamed al-Marzouki (centre) joins other Freedom Flotilla participants in Greece. The Freedom Flotilla III heading to blockaded Gaza will set sail within the next few hours despite Israeli threats to obstruct the humanitarian mission, head of the Miles of Smiles convoy, Dr. Issam Youssef, said Monday. Youssef said the benevolent activists expressed their commitment to head to the Gaza Strip and work on lifting the siege regardless of the threats and circumstances. Tunisia’s ex-president Dr. Mohamed al-Moncef al-Marzouki, along with a number of Arab and European activists, arrived in Greece to join the convoy. Youssef spoke out against Israeli intents to attack the campaigners, calling on the international community to take up its ethical responsibility in protecting the multi-national convoy. Meanwhile, the European campaign to end the siege on Gaza called, in a press conference held in Gaza Monday, for providing protection to the pro-Palestine volunteers who have joined the Freedom Flotilla III. It also pushed for taking legal action against Israeli assailants and filing suits with international courts. Head of the Euro-mid Observatory for Human Rights, Rami Abdo, called for the need to urgently lift the siege on Gaza and open a waterway from Gaza’s seaport so as to assuage to crises rocking the besieged coastal enclave. He urged the international community to seriously work on providing the delegation with the needed security shields, pushing for stepping up pressure on the Israeli occupation so as to lighten the noose tightened around Gazans’ necks. Israeli Arab MK (Parliamentarian) Basel Ghattas, who is to join the Gaza-bound flotilla, urges Israel to lift naval siege on Gaza ahead of third flotilla to coastal enclave. Israeli Arab Knesset Member Basel Ghattas (Joint Arab List) announced Sunday he will be joining a new flotilla bound for the Gaza Strip and urged the Israeli government to lift the naval blockade on the coastal enclave ahead of their arrival. In a letter to Prime Minister Benjamin Netanyahu and Defense Minister Moshe Ya’alon, Ghattas beseeched the Israeli leadership to allow the Palestinian activists to enter the Gaza Strip by sea. The three-boat flotilla, part of the Freedom Flotilla Coalition and third in number since the Mavi Marmara incident, is now departing from Athens and includes activists, lawmakers and journalists, including Swedish-Israeli composer and activist Dror Feiler and Spanish European Parliament member Ana Maria Miranda Paza. “The civilian flotilla is aimed at breaking the siege is peaceful,” Ghattas wrote in his letter. 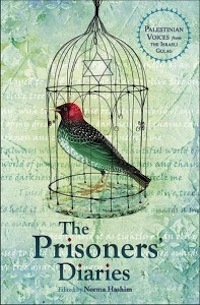 “Its goal is drawing international public attention to the state of the 1.8 million Palestinians living in jail-like conditions as a result of the blockade imposed by Israel – which is a form of collective punishment and constitutes an infringement on humanitarian law,” Ghattas wrote. BETHLEHEM — This (northern) summer, Swedish seaman Joel Opperdoes, 32, is not piloting cargo ships in the Baltic Sea. Instead, he is the sailing across Europe with five permanent crew members on a fishing trawler named Marianne. Their final destination is the main seaport of the Gaza Strip, which has been under a jointly enforced Israeli and Egyptian blockade for the last eight years. Marianne, which left from Sweden on May 10, is one of the boats taking part in the third Freedom Flotilla Coalition. While the fishing trawler was brought together by Palestinian solidarity groups Ship to Gaza Sweden and Ship to Gaza Norway, several other international NGOs support the campaign [including a delegation from New Zealand]. All are united in their goal to end the siege of Gaza. The first of the Freedom Flotilla ships, the Marianne, gets a big farewell from Sweden last week. 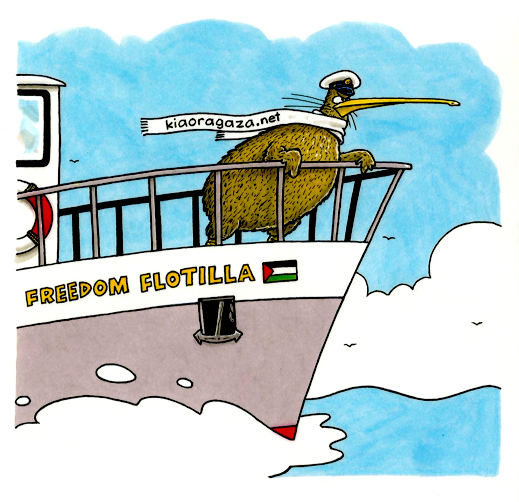 Kia Ora Gaza has been invited to send a New Zealand contingent to join the new international Freedom Flotilla to Gaza next month. We hope to be able to name the team soon. We have launched an appeal to cover the costs. Our target is $15,000. 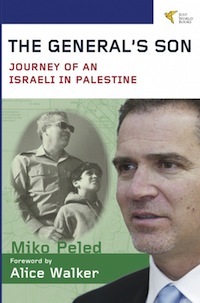 Kia Ora Gaza is a Charitable Trust incorporated under the Charitable Trusts Act 1957. The Flotilla will comprise at least three ships. The first, the Marianne, departed from Sweden last week, and has arrived in Germany on the way to the Mediterranean sea to link up with the other boats. RT video interview with filmmaker and activist Osama Qashoo who was on the Freedom Flotilla five years ago. The European Campaign to End the Siege on Gaza has launched an international campaign to mobilise support and advocacy politically and diplomatically for the Freedom Flotilla III which included a number of meetings with European parliamentarians and parties’ advisers. The campaign confirmed during these meetings the need to press Israel to immediately lift the blockade on the Gaza Strip. Israel ruthlessly holds 1.8 million Gazans hostage to its to aim for Middle East dominance. Regional wars serve Israeli interests. They help its expansionist agenda – at the cost of millions of lost lives and futures. An Israeli Foreign Ministry spokesman announced on Monday that ‘Israel will not allow unauthorized boats to enter its territorial waters’ as the converted trawler Marianne left Sweden intending to break the illegal naval blockade of Gaza. The first Freedom Flotilla was led by Turkish ship the Mavi Marmara, which set off towards the besieged Gaza Strip in May 2010 before Israeli forces attacked it in international waters killing ten activists and injuring many others. Gaza remains illegally and tightly blockaded despite Israel’s pledge to ease it. Large parts of the Strip lie in ruins, with thousands of families still without adequate shelter – almost nine months since Israel’s last war of aggression ended, resulting in over 2000 Palestinian deaths and many thousands injured. Funds pledged for reconstruction have been almost totally blocked as Israel maintains tight control over what’s allowed in or out. Living conditions are deplorable. Most Gazans have no electricity 18 or more hours daily. Over 90% of the water is undrinkable, and half a million residents have no running water. Other basic services are woefully inadequate. Almost half the population is unemployed, including nearly 70% of youths. Around 80% rely on desperately needed humanitarian aid. Israel’s cruel siege is slowly suffocating Gaza’s 1.8 million people. Egypt’s military rulers have closed down the border crossing at Rafah. Efforts to break Israel’s siege and deliver vital humanitarian aid are blocked – at times violently. Flotilla III is a humanitarian mission to deliver vital aid and challenge the naval blockade. Israel blocked the Flotilla II vessels from reaching Gaza. Israel’s blockade is blatantly illegal. It’s slow-motion genocide. It needs to be unconditionally ended. Moshe Yaalon speaking at the 2015 Shurat HaDin conference. The Palestinian Health Ministry has warned of a humanitarian crisis in the Gaza Strip due to Israel’s crippling blockade on the impoverished coastal enclave. The ministry says a shortage of drugs and medical supplies at hospitals and medical centers has been critically aggravated over Israel’s blockade on the coastal sliver for the past eight years. According to Ashraf Abu Mahady, the director general of pharmacy in the ministry, Gaza now lacks 118 kinds of medicines and 334 types of medical disposals. The official urged international bodies, including the International Committee of the Red Cross and the World Health Organization, to exert pressure on the Israeli regime to lift the blockade and open Gaza crossings. In March, the UN expressed concern about the economic situation in the Palestinian territory, saying the lifting of the Israeli siege is the “prerequisite” for reviving its economy. “We, in the UN, have always been in the forefront in calling for an end to the blockade as a prerequisite for a stable, functioning economy in Gaza,” said Robert Serry, the United Nations Special Coordinator for the Middle East Process. On Monday morning the Israeli occupation sprayed poisonous gases on the Palestinian farms in the east by the Gaza borders. Conformed accounts of Palestinian farmers reiterated that this is the second time that the Israeli occupation had sprayed poisonous gases on their crops along the eastern borders of the Gaza Strip. He said that the plants were not completely damaged, but he expected them to be completely damaged by tomorrow or after tomorrow. The Rafah crossing on the border between the Gaza Strip and Egypt’s Sinai Peninsula has been closed for 100 days now, the Gaza Interior Ministry said Saturday. It added that this has been the longest closure of the crossing since 2009, calling on Egyptian authorities to reopen the border point to alleviate the suffering of the residents of the Gaza Strip. Around 60,000 Gaza residents have registered to get out of the blockaded territory from the crossing for medical and other needs since July of 2013, according to Gaza’s border crossings authority. Since October of last year, Egyptian authorities have been working to create a buffer zone in the border area between Sinai and the Gaza Strip. The UN agency for Palestinian refugees (UNRWA) has warned of the ramification of the ongoing Israeli blockade on the Gaza Strip, saying it could open the way for a “new war” in the region. Director of UNRWA Operations in Gaza Robert Turner said at a press briefing that his agency was extremely concerned over the continued Israeli blockade on the Gaza Strip and also delay in the reconstruction of the Palestinian territory. He said the a “new war” would be inescapable if the blockade was not lifted and the Gaza Strip reconstructed. Turner went on to assert that UNRWA had sought to improve conditions in the coastal territory and reduce the number of Palestinian refugees seeking shelter at UNRWA-run schools across Gaza. He also called on donor countries to honor financial pledges they made for Gaza during a conference held in Egyptian capital Cairo in October of 2014. UNRWA, Turner said, had plans to build 7,000 houses in Gaza. However, he added, only funds for the construction of 200 houses were available. Israel’s latest offensive on the Gaza Strip left thousands of Palestinian homes and public facilities either in total or partial ruin. The offensive, which was launched for 51 days in July and August of 2014, also left 2,160 Gaza residents dead – mostly civilians – and more than 11,000 others injured.